Is Domino’s Guidance Becoming Stretched? Sales momentum at Domino's Pizza slowed over the first weeks of FY19 while the numbers of stores being opened appear significantly behind schedule. Sales momentum has slowed for Domino's Pizza Enterprises ((DMP)) recently, particularly in Australasia, although trends are expected to improve as the benefits of a new menu are savoured. Same-store sales for the first 17 weeks of FY19 were up 2.91% compared with over 5% growth previously. Japan slowed sharply to growth of 5%, with 12% growth over the first five weeks implying just 2.1% in the last 12 weeks. Morgans suspects the upper end of underlying operating earnings (EBIT) guidance of $227-247m is looking stretched. New menus may assist, particularly in Australasia, but the broker wants more clarity on top line momentum in order to be more confident regarding guidance. As the stock is trading over 10% above the target, Morgans downgrades to Reduce from Hold. Citi, too, suggests the shares are trading as if the company will beat FY19 guidance and remains to be convinced. Macquarie continues to forecast significant earnings growth and believes the FY19 guidance range is conservative. The broker was pleased with the performance in Europe, given the parent company noted that region was negative in the three months to September as demand was affected by the hot summer. Domino's Pizza can still grow its share of Australian takeaway, UBS asserts, forecasting market share of 5.9% by FY25 from 5.4% currently. This is despite the opportunities for aggregators, as these compete across only 10% of the takeaway market. Morgan Stanley points out the company has signalled that higher food costs ensuing from the Australian drought will affect the business during the second half after benefits from lower cheese prices in the first half. Ord Minnett believes Domino's Pizza faces challenges given the slowing sales growth and the impact of Australia's drought on food costs. In a departure from a trend of the last several years, no separate disclosure was provided for Australasia and Europe and Deutsche Bank wonders why the company was only providing more detail on the smallest division, Japan. While Japan was singled out, Ord Minnett notes it was an undemanding comparable and there is a risk extrapolating trends, given infrequent pizza consumption in Japan versus other markets such as Australia. UBS downgrades, to Neutral from Buy. The broker trims forecasts to reflect a greater skew to the second half. By division, the broker expects Japanese sales to be up 2%, Australasia to be flat and European sales down -3%. UBS continues to believe this is a good business with a strong earnings outlook but the latter is priced into the stock. UBS also estimates European margins will not reach the target 25% by FY21, although the outlook is strong given the scale and industry consolidation potential. Germany and France will be key to hitting targets, as they are expected to drive around 80% of incremental store growth. The company retains an expectation for rolling out 225-250 new stores in the current financial year. A strong second half skew is expected for new stores. Stores have increased by 36 so far, but management has noted that openings are more concentrated towards December and June. Conversions of Hallo Pizza are ahead of expectations. Still, Citi believes the risks are building that new store roll-outs will be late in the fiscal year and make a smaller contribution to earnings. Credit Suisse looks at the updates from the parent and other franchises that have indicated zero same-store sales growth in Europe. While European region has a volatile history, the broker is yet to find enough evidence that profitability for franchisees in France and Germany can be lifted sufficiently to incentivise new store openings commensurate with targets. As there are few competitor acquisitions available, targets need to be achieved almost entirely by organic means. The broker retains forecasts for new stores that are well below the company's target and points out, ultimately, it is store numbers the drive profitability. Ord Minnett believes there is a higher risk is for negative same-store sales growth in France, a market where the potential may be significant but the execution difficult. 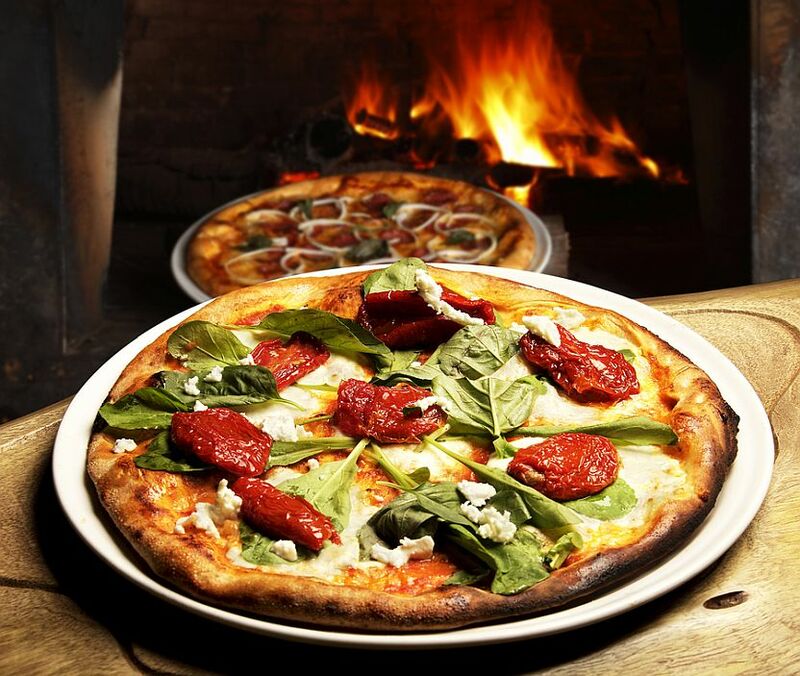 FNArena's database shows two Buy ratings, one Hold and five Sell for Domino's Pizza. The consensus target is $49.09, suggesting 0.3% upside to the last share price. Targets range from $36 (Deutsche Bank) to $65 (Morgan Stanley).